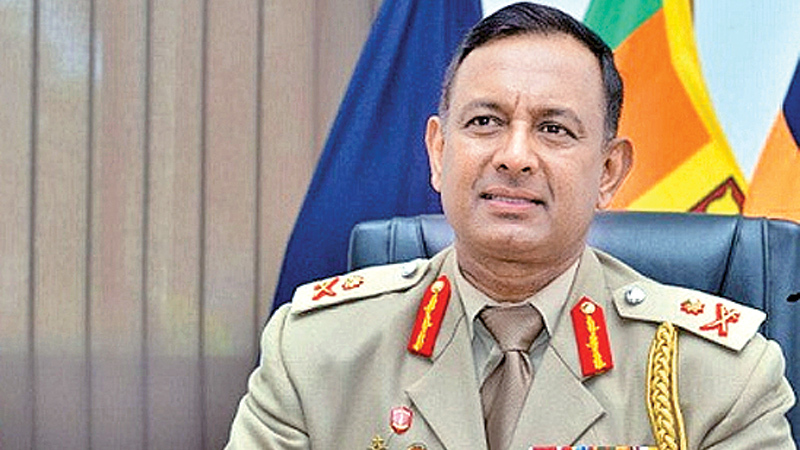 Major General Dampath Fernando, has been appointed the Deputy Chief of Staff of the Sri Lanka Army. Fernando, formerly the Security Forces Commander, Mullaitivu, is a decorated officer and an outstanding sportsman. Fernando joined the Army in 1983 with Intake 18 at the Sri Lanka Military Academy Diyatalawa. He was commissioned into Gemunu Watch Regiment and started his career as a Second Lieutenant. During his illustrious military career he has held many important position in the army in the fields of operations, training and staff. As an infantry officer he has successfully commanded two infantry battalions, two infantry brigades and three infantry divisions in the North and East provinces. He has actively taken part in many military operations against the LTTE during the height of Sri Lanka’s terrorist conflict. After the military victory in 2009, he had to retire from the Army as a ‘victim of circumstances but was later reinstated in 2015, by President Maithripala Sirisena. This shows most of the higher ranked force personal's who fought for the terror conflict has became victims of past dictator regime hopes because of their lawful and straightforwardness . That's why most of these brave officers left the country to save lives and they doesn't wants to be there under dogs, and listen and to involves for this four maskettier's (Rajapakshe brothers) thuggish political work and to be there henchman's . Now the present government knows their values and the work they render to the country by taken risks to their lives to wipe out the terrorism from the country and settles the peace and harmony . Hopes that's why the present government brought back to the country as a respect to appoints them for this kinds of higher positions . Thanks and salutes for them to render much more better duties than before to this government to proceed for a better future with out any disturbance's.